Tempcon Blog: HOBO U24-002s off to Antarctica! HOBO U24-002s off to Antarctica! Thankfully, we don’t have to brave the extreme conditions that Jennifer Loxton, of Heriot-Watt University, will be facing. 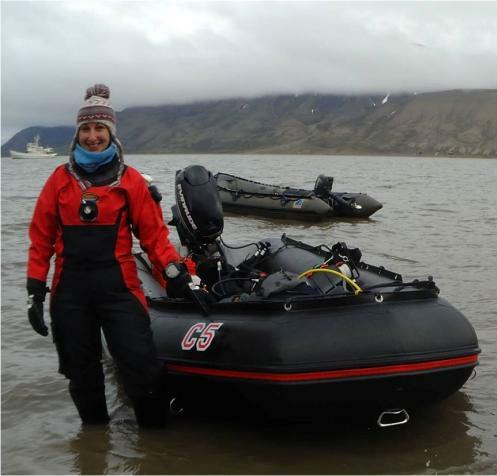 Jennifer has been awarded funding from British Antarctic Survey, NERC and the Heriot Watt Alumni Fund to support a project investigating the effects of climate change in Antarctica. The project is collaboration between scientists from Heriot-Watt University, the Natural History Museum (NHM), and the British Antarctic Survey (BAS). Jennifer will join scientists from the British Antarctic Survey (BAS) on an expedition to the Antarctic Peninsula, to spend 6 weeks in Jan/Feb 2012 SCUBA diving in one of the most extreme diving locations on the planet. During this time she will be examining and collecting bryozoans, small colony forming marine invertebrates, in order to understand the effects of ocean acidification and climate change on their calcium carbonate skeletons. Animals such as bryozoans, with their small size and fragile skeletons, are best retrieved from the seabed by hand. However, diving in the waters of the Southern Sea is not something to be taken lightly. Antarctic diving poses many interesting challenges because the sea surface freezes and the water temperature at Rothera is below -1 °C most of the year and rarely reaches +1 °C. Weather, such as high wind speeds, icebergs scouring the seabed, leopard seals and killer whales also mean much care is required as well as specialised training and kit. The marine invertebrates chosen for this study are tiny marine animals called bryozoans; these filter feeders live together in colonies and build intricate and chemically complex calcium carbonate skeletons. Bryozoans are of interest to scientists studying climate change as they are able to vary the composition of the calcium carbonate as a response to changing conditions in the water they live in. Jennifer will be analysing the skeletons of three of the most common Antarctic species in order to understand the patterns of this variation and therefore gauge the actual effects of climate change on Antarctic animals. We’re always excited to learn where our data loggers end up and, as Jennifer is planning to use HOBO U24-002 Conductivity/salinity Data Loggers supplied by us, we’ll be keeping an eye on Jennifer’s blog and tweets. I suggest you do as well. Welcome to the Tempcon Blog. We have over 30 years experience supplying instrumentation and sensors for measurement, control and data logging of temperature, humidity, pressure, energy and environmental conditions.